Rudy Giuliani said Sunday that shutting down special counsel Robert Mueller’s investigation could be an impeachable offence for President Donald Trump. Trump has reportedly tried to fire Mueller and end the special counsel’s investigation into Russian meddling in the 2016 election. President Donald Trump’s lead attorney Rudy Giuliani said that shutting down the special counsel’s Russia investigation could be an impeachable offence for the president. 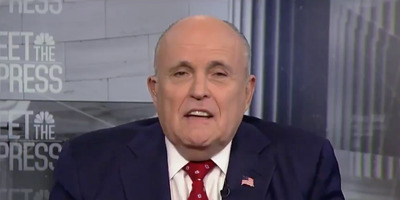 Giuliani’s comments come one day after The New York Times reported that Trump’s legal defence team argued in a 20-page memo that Trump has the constitutional authority to terminate the probe. Trump, who has privately and publicly tried to undermine Mueller and his investigation, has shifted his strategy from cooperative to adversarial. He has reportedly floated the possibility of firing Mueller in order to bring an end to the investigation, but has been dissuaded by his aides from taking such a measure. Giuliani also said Sunday that Trump probably has the power to pardon himself, but that it would also likely lead to impeachment.